A dozen and one application for a car, home, work. Use when a metal blade isn't appropriate. 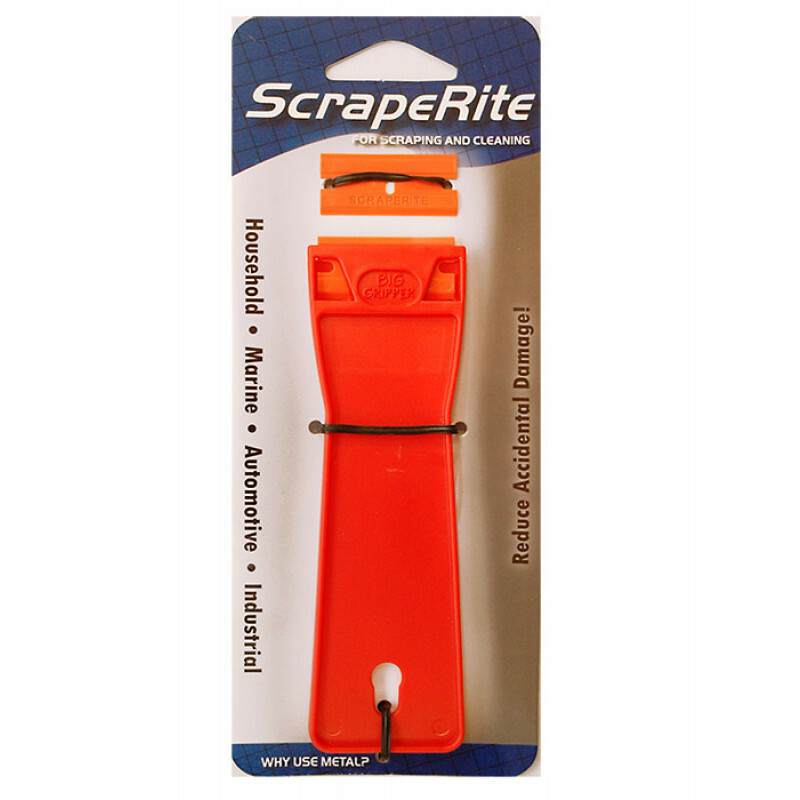 The best way to scrape surfaces without scratching the surfaces and also the elimination of the hazard of using a metal blade. Removes sealants, baked-on gaskets, weatherstrip adhesive, grease, gum, tar, bugs, decals, stickers, dirt and other unwanted substances from surfaces. The Big Gripper longer handle gives you better grip, leverage and reach great for industrial and factory use and for use in the garage or home. Comes equipped with two double-bladed plastic razor blades.